Talking about F1: The F1 blog: F1 2014 Season Preview: Caterham - The tortoise and the hare? F1 2014 Season Preview: Caterham - The tortoise and the hare? March. Team Haas. BAR. F1 teams big on hubris but less big on results ain't a new thing. And the modern age until recently had its very own contender: ladies and gentlemen I give you Caterham. The front worked for a while: the team being rather popular among the media and more widely in its early days, but in this game a lack of results cannot be denied for long, and the point that the outfit's charm wore off passed a good while ago. Caterham these days is rather akin to a joke that isn't funny anymore. Last season in year four of its F1 existence the team seemed no closer to its long-awaited joining of the midfield or scoring of points - in terms of lap times it was as far from the standard as ever. And worse, the squad wasn't even able to cling to its bare minimum achievement of tenth place in the constructors' table which it lost to Marussia (and indeed had only salvaged at the very last in 2012 thanks to Vitaly Petrov passing Charles Pic in the final laps of the final round to claim P11 in the Brazilian Grand Prix). At the very least though under Cyril Abiteboul's leadership starting last year the bombast was toned down; the aims got more modest and realistic (and Abiteboul was explicit that over-promising had been a significant impediment for the outfit previously). The main problem that the team had last season was getting caught between two considerations and ending up to a large extent achieving neither. Minded to concentrate resource on the big regulation changes for 2014 it started last year with essentially a re-hashed 2012 machine, calculating that it would still be enough to keep it ahead of the Marussia in the table. But it wasn't, and the P13 finish claimed by the Banbury team in round two set it up well to claim the coveted P10 championship spot for itself. Caterham then responded with major changes to the 2013 machine, but while these got it ahead of the Marussia on pace for the remainder of the year the slightly odd (some might say distortive) method of how constructors' placings are decided back there, that means a solitary strong finish tends to trump all else, combined with the fact that teams further ahead sorted reliability problems apparent early in the season, meant that Caterham could never claim the P13 race finish of its own required to leapfrog Marussia back. And an additional and associated risk of this of course is that as well as being futile as far as 2013 was concerned it had the potential to also impede its 2014 effort after all. And certainly from watching the Caterham on track in this campaign's pre-season testing there is some evidence that this indeed has been the case. The car has appeared a real handful to drive, while its lap times - never the be-all-and-end-all in testing but still of some use as a guide - were way off those of the pace-setters again, and its best adjusted marks from Bahrain bettered only the two Lotuses (who as we know had their own problems). Yet one thing the car does have going for it is reliability. Of course, it has shared the problems associated with having a Renault power unit, which means in the broadest comparisons the mileage clocked hasn't been anything too considerable, but Caterham does have the feather in its cap of covering the most testing distance of any Renault-powered machine. Indeed it has topped this particular chart by a distance, completing more than 2,000 miles overall compared with around 1,500 miles for the Toro Rosso, just over 1,000 for the Red Bull and Lotus managing not even that. Reportedly the Caterham's cooling package is the most generous of the four machines - its designers erring on the side of caution - and this currently is having its reward. And given that reliability woes are likely to be an increased feature this year, particularly early on, and a few reckon that in the first round or two finishing could well equal points, it's possible if we're to be generous to suggest that Caterham has read this situation and focussed on making sure it makes it to the end from the very off, so to give itself the best chance of claiming P10 in the constructors' table (just as Marussia played for and got 12 months ago) as well as, possibly, seize its first ever championship point. But even if this is so one feels that Caterham could do with being more potent in terms of the stopwatch too if the team's credibility gap is not to grow into something unbridgeable. Perhaps not even a point to two would conceal that for long. More broadly Caterham (with its Lotus-named predecessor) has always been a bit of a curiosity. Tangible competitive progress as mentioned has been close to non-existent, but on the face of it the squad appears to have been doing most things right in terms of investing in talented staff and cutting edge facilities. And now it's been settled into its Leafield base for over a year, so there should be no excuses there either, as well as recently has inked a deal to use Toyota's wind tunnel in Cologne. Possibly though the team has tried to do too much too quickly - attempted to run before it can walk perhaps - rather than focus on the fundamentals as Marussia look to have been doing more successfully in the last 24 months. 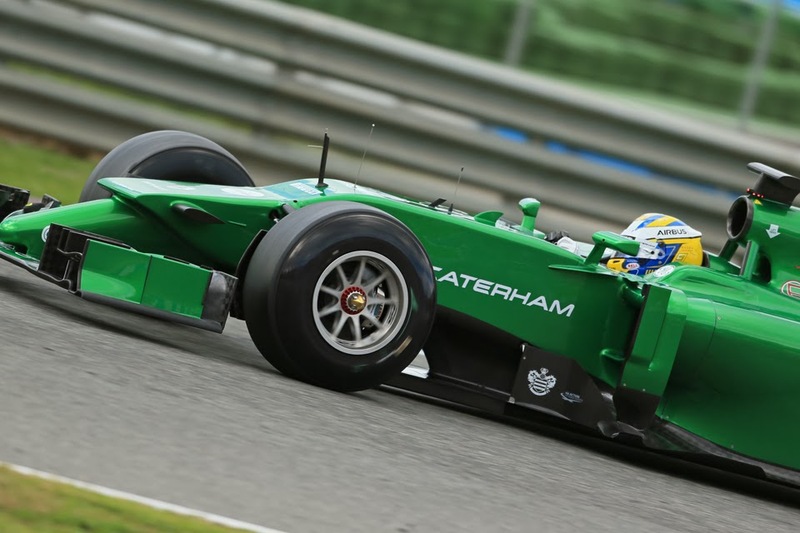 That Caterham's sought to grow a fledgling F1 team in parallel with a GP2 effort may be instructive. But most broadly of all, and typical of F1, perhaps mostly it comes down to money. For all of the team's activity and previous propensity to boast, its budget has always remained well behind those of the teams at the very front, at around the 30% level. In F1 as much as any activity, the relationship between spending and getting is a close one. 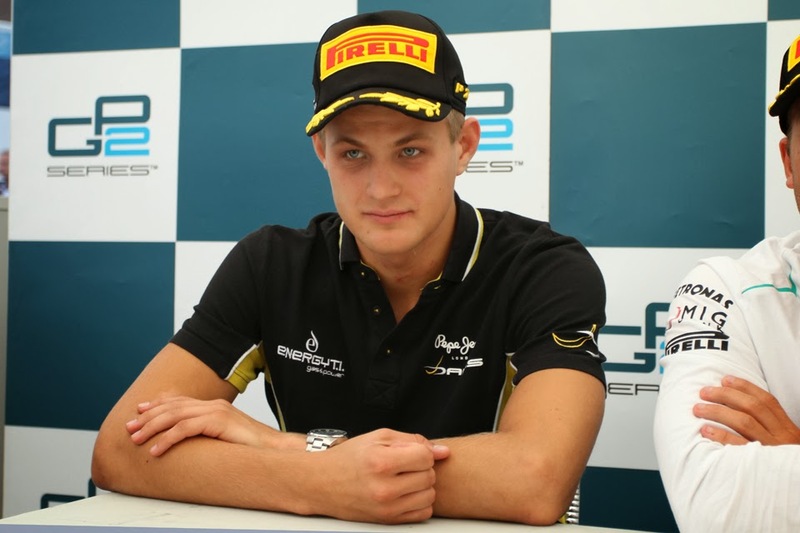 Marcus Ericsson is like a lot of F1 graduates of recent times. His junior record is decent if not stellar. A bit like some of them too (such as Giedo van der Garde) he's been pacing around in the formulae below the highest echelon for a while. Most importantly he's brought a financial package. Ericsson has completed four seasons in GP2, the rung below that of F1, and in that time he's developed - in additon to a loyal and vocal Swedish following - a reputation of one who can be very fast but who lacks consistency. And this reputation burgeoned last year: as mentioned he was starting year four in that rank (which is about the going rate to win the GP2 title these days), he'd won a GP2 race the previous year and was now in the DAMS squad that was reigning GP2 driver (won in Davide Valsecchi's hands) and team champion. He therefore was considered among the favourites for the championship, but his campaign never quite got off the ground. Sometimes he was unlucky; other times he made his own bad luck. Only one more win was his. Even with this though - and like a lot of recent F1 debutants - there's nothing to suggest that he'll make a fool of himself this year, though he'll face the usual challenges of the modern rookie of the relative paucity of testing opportunities (and Renault's reliability problems in pre-season will not have helped one bit) while more broadly he in 2014 faces a complex new formula wherein by all accounts there will be greater than usual requirements on the drivers mentally and otherwise. But on the flipside - and as Kevin Magnussen has pointed out for his own case - at least he will have no experience to un-learn; the clean slate for all may be to his benefit. And plenty of these drivers of Ericsson's ilk have surprised us pleasantly. While in Kamui Kobayashi across the garage he has a highly-rated and established driver in the same machinery to compare himself with. If he gets on terms with him as the campaign goes on then that will likely count as a positive debut. 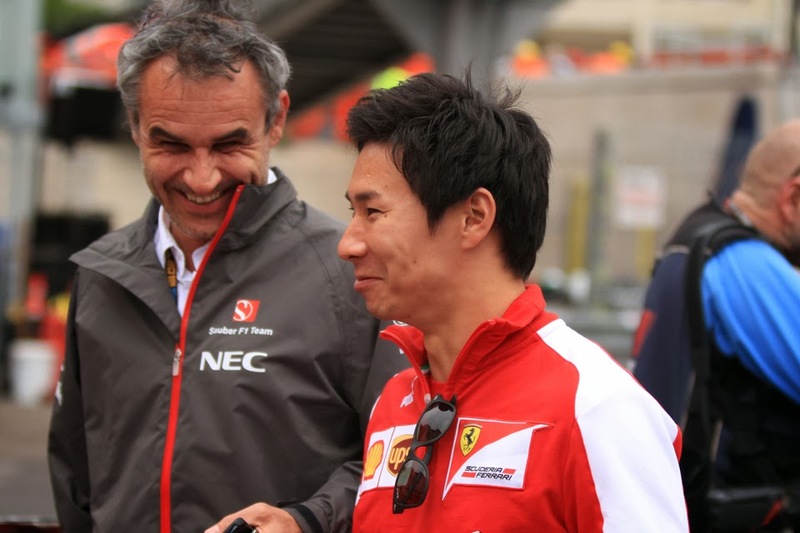 Few hearts were not cheered when it was confirmed that Kamui Kobayashi was to return to F1 this campaign after a year away. He bows to almost no one in the popularity stakes, in large part a function of his willingness to go for and achieve dare devil overtakes (even in his early, pre-DRS, days wherein passing in F1 was about as common as hen's teeth) allied to his unfailingly cheerful demeanour out of the car. Part of the reason that Sauber dropped him at the end of 2012 was financial (Sauber bringing in Nico Hulkenberg and having to otherwise replace Sergio Perez's money) but also rumours abounded that the Swiss team felt that Kobayashi wasn't making the most of his C31 that year. Also a bit too much of the Kobay-crashy lingered. But whatever is the case Kobayashi seems an upgrade both in experience and talent on the 2013 Caterham pilots, while team owner Tony Fernandes has spoken about the extent that - given everything - Kobayashi brings 'energy' and 'adrenaline' to the team. And, as if to confirm the fine margins that often divide moving up and moving out in F1, there were only six points between Kobayashi and Perez in the final 2012 drivers' standings when they were paired at Sauber, both had seven points finishes this year and the qualifying match up was only 11-9 to Perez. Yet the Mexican got his big break at McLaren at the end of it all while Kobayashi got the boot. More broadly, anyone who recalls the reaction of Kobayashi's public in Japan after he claimed a podium finish in Suzuka in fine style that year will be glad that this support has been re-harnessed for F1's benefit. There however seems an audible note of worry in all of this: what exactly can Kobayashi do in a Caterham? The evidence of testing is that the car will still be off the back of the pack in its pace, and one thinks of previous incumbents at the team and in this scenario such as Heikki Kovalainen, who in that competitive vacuum eventually got exasperated. Can Kobayashi - via his adrenaline or otherwise - avoid similar befalling him? F1 2014 Season Preview: Ferrari - Dark horses?